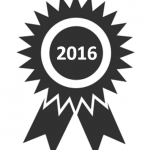 A further grant of £600 in April 2016 to supply equipment to support children with disabilities. 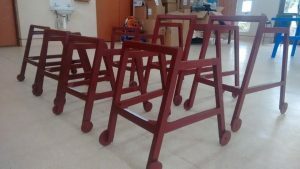 A local carpenter made chairs, standing frames, walking frames, and trolleys and a local tailor made knee braces, all from local materials. At Beit CURE International Hospital, a volunteer Physiotherapist and a volunteer Occupational Therapist run outpatient clinics to provide therapy to orthopaedic outpatients but also to children with neuro disabilities who are unable to access treatment elsewhere. 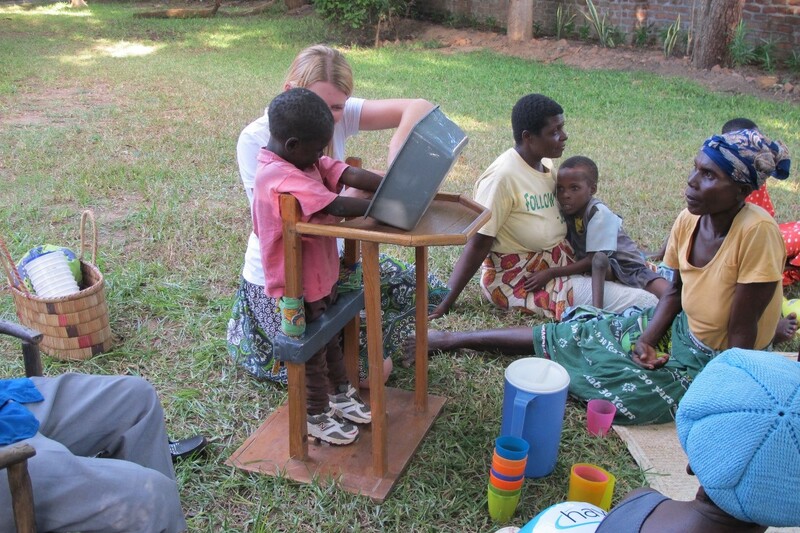 Children with disabilities in Malawi face an uncertain and challenging future; faced with difficulties accessing healthcare, education, training and employment as well socio-cultural challenges such as stigma and exclusion. We believe the social support and encouragement that these mothers receive from each other at the clinics is empowering and equally as important as the therapy we deliver. We provide education to parents and guardians so that they can learn about their child’s condition and understand how they can best support their child to achieve their full potential every day. We seek to provide a safe and supportive environment in which children can develop and achieve their goals towards more functional independence. In 2016 Friends of Malawi Association (FOMA) awarded us a grant of £606 towards the production of disability equipment for these clinics. We were also able to support rural Cerebral Palsy clinics with equipment. The grant provided 30 standing frames, 30 chairs, 30 walking frames as well as numerous pairs of gaiters and shoes. 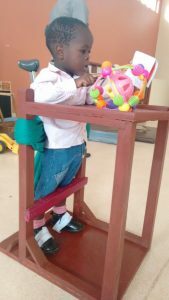 This equipment has enabled children to develop gross motor milestones such as sitting, standing and walking that they might not otherwise have achieved. It has enabled children to be involved and included in their communities; by accessing outdoor play and attending school. The provision of this equipment helps to prevent the development of contractures and deformity and the hardships associated with this. We are extremely grateful to FOMA for their generosity in providing this grant to our project. 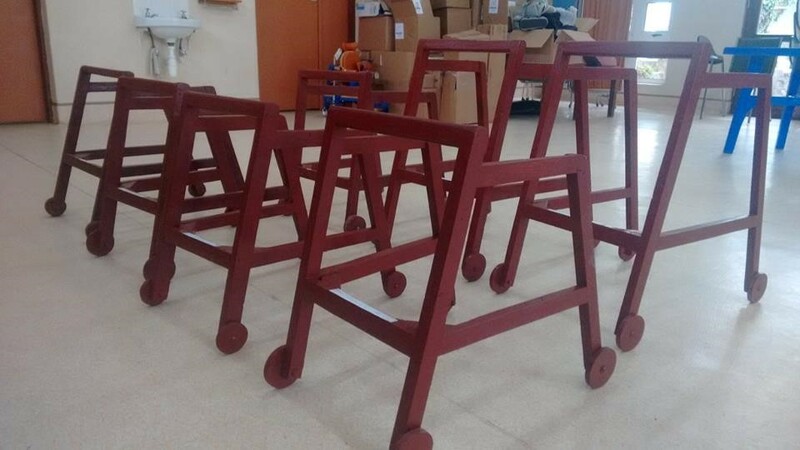 The first batch of walking frames delivered to CURE – the carpenters were overwhelmed with the order, the project had to be broken down into phases! Proud mother and happy patient!